IP finance: Apple v Samsung: The War Over "Cool"
Last August, we published a blog post--"Apple v Samsung: Don't Take Your Eyes Off the Brand and User App Ball" (here) in which we questioned whether Apple's successful verdict in suit against Samsung would be a game changer in the smartphone world. Views were heard far and wide than the case would have a major impact on the industry by forcing Apple's competitors to engage in more "genuine" innovation in the smartphone industry, both with respect to handsets and operating systems. Our sense was that this view was missing the mark on the role of IP; Apple's ultimate competitive advantage in this product space would be determined more by the power of its brand to connote a unique product ecosystem than by any victory in the patent wars. At the time, our observation suggested that Apple would continue to be the winner because of the strength of its brand. With its stock reaching the $700 per share, this position seemed reasonable. But how times have changed: Apple was later denied the broad injunctive relief that it sought against the sale of certain Samsung smartphones in the US; the court cut by nearly 50% the jury award of more than $1 billion in favour of Apple, with perhaps further reductions to come; and Samsung has become the largest manufacturer of smart phones by volume of phones sold, as Apple struggles to find a convincing commercial response against Samsung's multiple price point product line. But the most telling development was Samsung's widely-covered launch last week in New York of its new Galaxy s4 model smartphone here. For the first time, the launch of a smartphone product by an Apple competitor was being treated as a media event in its own right. 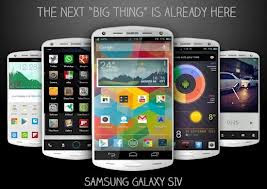 While pundits differ on just how successfully "splashy" the launch really was, and just how game-changing the new features on the Galaxy s4 are here, one point stood out: many commentators opined that Samsung was on the verge of replacing Apple as the "cool" brand for smartphone devices. Thus, iPhones are for one's parents; Samsung is for the younger crowd. One noted interviewee on Bloomberg radio stated bluntly that Samsung has supplanted Apple as the product of choice, if "cool" is the driving factor in deciding what smartphone to purchase. As I recall, the patent wars were not mentioned at all during the interview. The question is: how did this happen? How is it that the very symbol of high-tech "cool", the company that turned owning a phone into a form of fashion statement, is itself at risk at being perceived as holding the short end of the image stick? I want to suggest that it might be that the patent wars themselves have impacted on the public perception of Apple. In many popular circles patent litigation, rather than being seen as a last-resort means by a party to protect its core technology against an opportunistic and scrupulous defendant, is increasingly viewed as simply a means for hitting the jackpot of an award in the millions or even billions of dollars. When I show to colleagues or a lecture audience the design patents that were the focus of the U.S. case, the response is a combination of disdain or worse. The design patents at issue are viewed as trivial, rather than constituting the company's core technology. Moreover, in a market that is dominated by two actors, Apple's (ultimately unsuccessful) attempt to obtain wide-ranging injunctions were seen by segments of the public as a ploy to limit marketplace competition at the expense of the consumer. This is especially so when each new generation of smartphone is perceived as containing only incremental improvements in comparison with the previous model. Apple's patent wars might make perfect sense as a matter of strategy, but they hardly reinforce the idea that the iPhone and its ecosystem are, in a word, "cool." In a world where branding and image may amount to more and more of a company's most valuable IP, Apple's patent wars may have only served to undermine the heart of the company's competitive advantage in smartphone branding. Six months later perhaps we see the result-—the company's products may be at risk of not being as "cool" as those of its competitors. If this is true, Apple would be well advised reconsider the role of its patent strategy in supporting the reputation and goodwill of the company's smartphone products. . I don't think too many people are aware of the details of Apple's "patent wars". At least in my country, the popular perception is that Apple is just defending its creation against an imitator (or at least, a less creative competitor) which makes cheaper phones. Also, Iphones are still perceived as cooler, more reliable and sophisticated, even if most people prefer other smartphones just because of the prices. Maybe, the loss of "coolness" is just a perception Samsung or Google fans would like to create.